A quick and stress free journey to the heart of the boat show. 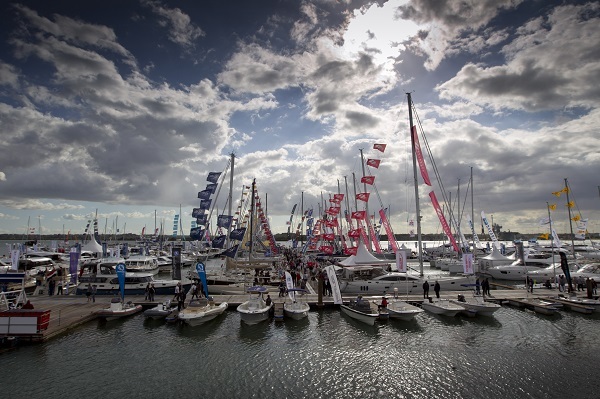 A flight from London to Southampton is only 25 minutes and you’ll be landing very close to the boat show. 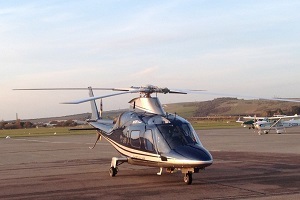 With complimentary English sparkling wine from Hambledon and light catering, you and up to five friends can quickly and comfortably fly to Southampton from a location of your choice and make a vertical arrival in one of our twin-engined fleet such as the Agusta 109e (pictured). Every part of your visit will be organised and extended by our friendly Operations Team, from chauffeurs to hotel accommodation. Contact them today on 01256 635000 or get an instant quote using the form below. Held on water every September, Southampton’s boat extravaganza is perfectly positioned on the South Coast and draws huge crowds. A vast selection of beautiful yachts and powerboats are on display, plus a wealth of retailer stands supplying everything from boat components to safety equipment and even gifts for friends and family. There’s also a range of exciting and interesting attractions, workshops and training sessions, with something for everyone to see and do. A charter from Atlas Helicopters allows you to arrive in style, landing you in the Southampton docks, a short walk from the main event. Your flight will be overseen by a dedicated flight manager who will answer your requests to make sure every detail of your journey is taken care of. As with all flights by Altas Helicopters our flexible booking service means you can prolong or curtail your visit based on your needs – so if you want to stay and discuss the finer points of a particular aircraft you are more than welcome. Call our friendly operations team now on 01256 635000 or can an instant estimate using the form below.